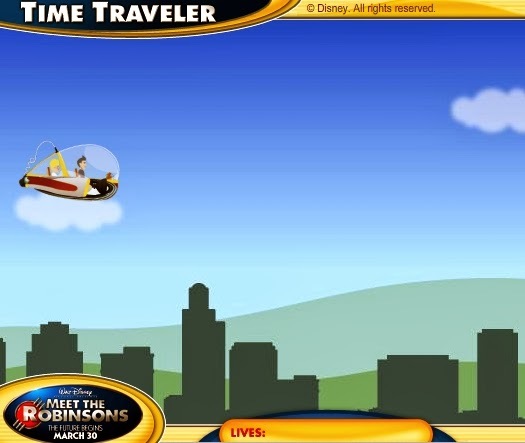 Description: Help Lewis and Wilbur navigate through the cities to find missing pieces they need to repair the machine! CONTROLS: Use the arrow keys to navigate the ship and avoid obstacles. TIPS: Be cautious of the obstacles they will cause damage to your craft. Make sure you keep your ship full of gas to make it through each level. The Bowler Hat Guy and Doris are looking for you.